Mercer County Juvenile Advisory Council, Inc. will improve programs, services, and opportunities for children, youth and young adults in Mercer County through advocating, championing, and supporting youth-centered policies and through effective recruitment, training, and placement of volunteers with agencies to fill gaps in service. 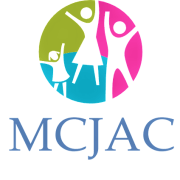 MCJAC helps improve services or care by providing effective recruitment , training, development and placement of volunteers with local organizations where there are gaps or limitations in service revealed by needs assessments. Volunteers will provide positive relationships to high-risk youth who lack these roles in their lives so that they may reach more positive outcomes. Would you recommend MERCER COUNTY JUVENILE ADVISORY COUNCIL INC?